Champion Commercial Structures, a division of Champion Home Builders, recently completed a townhome development, Wolf Run Village in Watford City, North Dakota, and received the Champions of Affordable Housing Award from the North Dakota Housing Finance Agency (NDHFA). The award was presented at the 23rd annual Statewide Housing Conference on February 27, 2014 to the lending institutions and local organizations that made funding for the project possible. Wolf Run Village sits amidst the state’s Bakken Oil formation, which has caused rapid growth in the small towns of Watford City and Williston. The project was completed in August 2013. Katie Walters, Wolf Run’s property manager, nominated the development for the award. “Most affordable housing projects set aside only a certain number of units as affordable housing, but all the housing in Wolf Run Village is affordable,” Walters said. 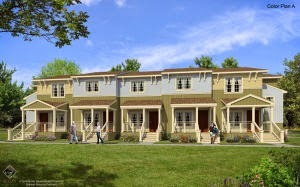 The completion of Wolf Run has allowed more jobs to be filled and more families to live in comfortable homes. 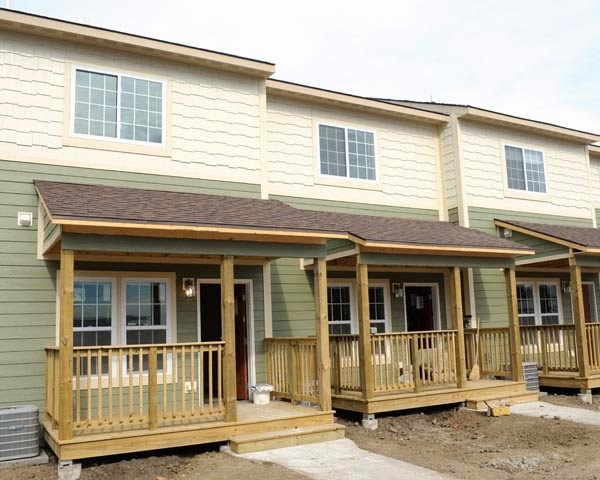 Developed by Bakken Housing Partners (BHP, LLC), the Wolf Run Village custom townhome project provides housing for essential personnel in Watford City, including city and county staff, teachers and emergency responders. The development includes six buildings, each consisting of seven units, for a total of 42 one- and two-bedroom townhomes and apartments.